New "General Motors Company" Logo May Go Green? 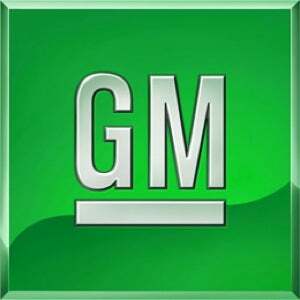 According to the AP, the logo for the "New GM" (now called "General Motors Company") may change from blue to green to show Congress and the President consumers it's greener and focused on fuel efficiency. UPDATE: It's not gonna happen. UPDATE: Our sources now tell us this is probably not gonna happen. Sorry folks, no green-washing today! "Ed Welburn, GM's vice president of design, is leading a group that is studying name and logo changes, but no recommendation has been made, according to one of the people. Changing the background of the familiar square blue-and-white GM logo has been discussed, said the people, who requested anonymity because no decision has been reached."